Stockton, CA–A hospital that stirred controversy in November by banning a veteran, Boots Hawks, from using the phrase “God Bless America” is sticking by its ban, even in the face of mounting legal threats. Attorneys for Pacific Justice Institute have taken steps recently toward litigation, filing a formal charge of discrimination with the California Department of Fair Employment and Housing, and receiving authorization to sue. “Over the last two months we have given Dameron Hospital multiple opportunities to rescind their ban on patriotic speech. Inexplicably, they have chosen to ignore our efforts to resolve this conflict peacefully, and their window of opportunity is quickly closing. It is both wrong and illegal to single out and silence the patriotic speech of a veteran who served his country honorably for more than twenty years. We intend to do whatever is necesssary to vindicate his rights,” said Brad Dacus, President of PJI. 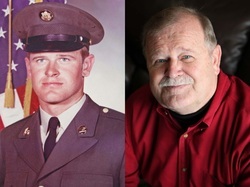 Mr. Hawks is a retired veteran who served in the U.S. Army and is an employee at Dameron Hospital. A supervisor ordered Mr. Hawks to stop using “God Bless America” as one of three quotes below his e-mail signature. Mr. Hawks reluctantly complied with the directive but was placed on two days of administrative leave for “insubordination” after he mentioned that he would seek legal advice.